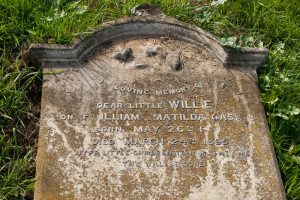 In loving memory of dear little Willie, son of William and Matilda GAS[KIN]. Born May 26th 11. Died March 24th 1895. Suffer little children to come unto me. Thy will be done.